Come for the “Gangnam Style,” stay for the wine. That could have been the hook when thousands of newcomers clicked on Jordan Vineyard & Winery’s “Gangnam Style” video spoof that featured CEO John Jordan on the giddyup in 2012. But Lisa Mattson, the auteur behind the camera, was up to so much more. It was more like, stay for the French macaron cookie-making video, the vineyard time-lapse footage and the spooky night harvest horror flick, all on her “Journey of Jordan Winery” blog. A social-media maven with cinematic flair, Mattson, 39, has single-handedly upped the ante when it comes to winery promotion on the Web. The same creativity fuels her own pursuits. Mattson’s new novel, “The Exes in My iPod: A Playlist of the Men Who Rocked Me to Wine Country,” is a thinly veiled retelling of her former life waitressing and falling in (and out) of love in Miami in the 1990s. Published in paperback, iPod, e-book and mobile-phone editions, “Exes” follows Harley Aberle’s romantic escapades and associates them with certain songs playing on her iPod. For a 4-H Club girl who grew up in a small Kansas town with just one stoplight, Mattson’s come a long way. “When we first started in 2010 (at Jordan), I’d never operated a camera,” she said. Now she’s setting up elaborate shoots just like any independent film crew. Not surprisingly, the awards have rolled in, including Best Winery Blog at the 2012 and 2013 Wine Blog Awards, and several finalist nominations for best video in the annual Wine Spectator magazine video contest. One of the latest Jordan viral videos is “Blurred Vines,” a Wine Country take on Robin Thicke’s “Blurred Lines” music video (go to blog.jordanwinery.com and click on “Our most popular videos”). 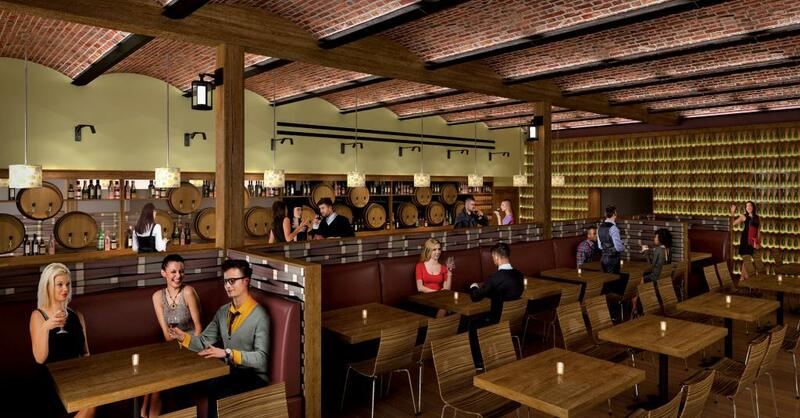 City Winery, a buzzed-about New York City facility, comes to Napa in April.